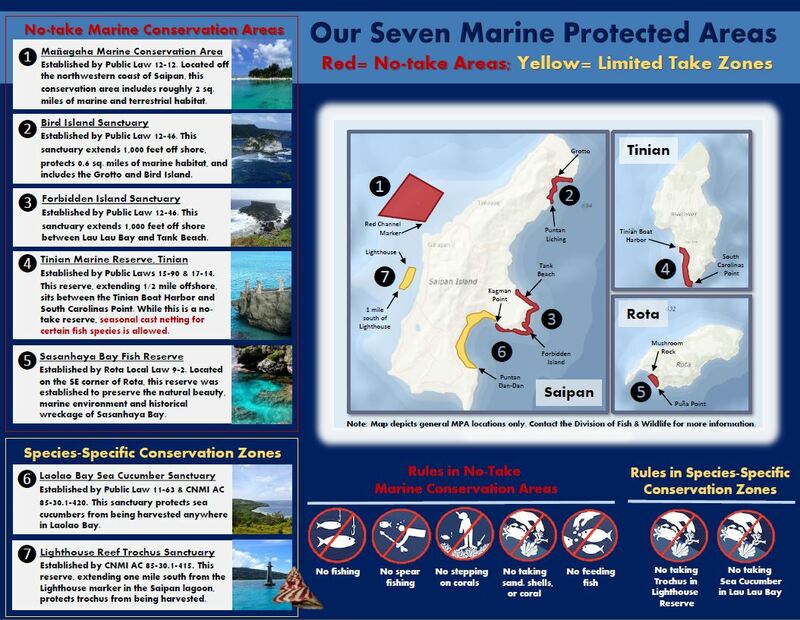 Some people interpret marine protected areas (MPAs) to mean areas closed to all human activities. Others interpret them as special areas established for conservation, but also allowing recreational and, sometimes, commercial use, much like national parks. In reality, “marine protected area” is a term that encompasses a variety of conservation and management methods. MPAs are defined areas where natural and/or cultural resources are given greater protection than the surrounding waters. 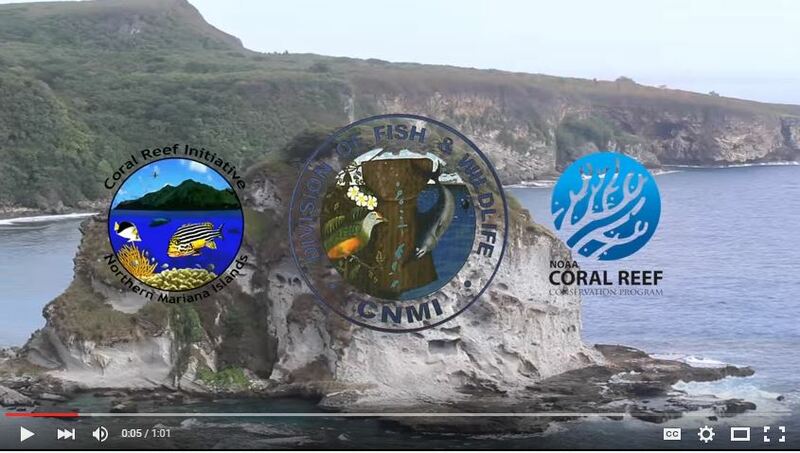 MPAs in CNMI span a range of habitats and vary in purpose, legal authority, management approaches, levels of protection, and restrictions on human uses (NOAA’s National Marine Protected Areas Center). 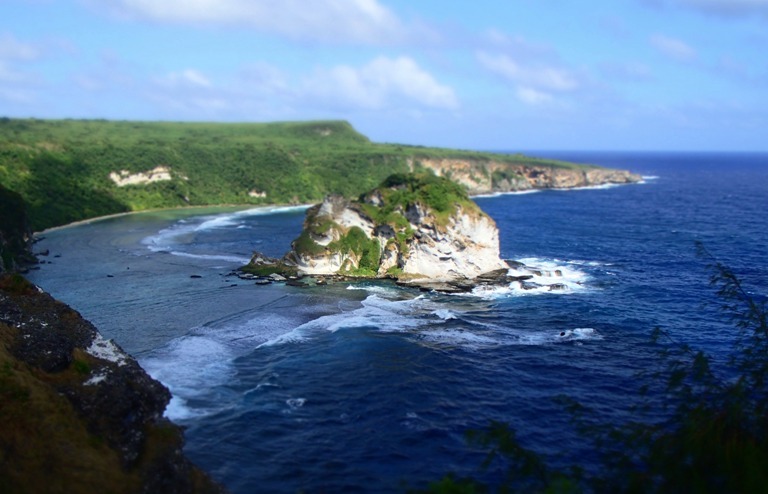 Increasing impacts on CNMI’s oceans, “caused by development, pollution, overfishing, and natural events, strain the health of our coastal and marine ecosystems. Some of these impacts can include decreased or damaged fish populations, bleached corals, threatened or endangered species. MPAs are one type of ocean management tool that, when used effectively, help ensure healthy oceans. 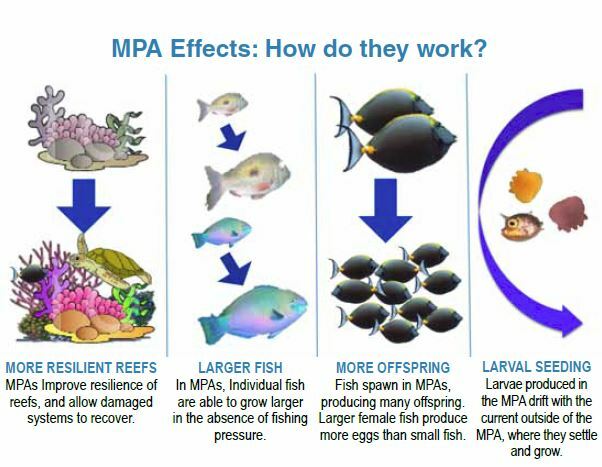 To learn more, follow this link to DFW’s web page on MPAs.